Dubstep dominator Caspa has just released his new mixed EP My Style. To celebrate the launch we are giving you the chance to win some exclusive signed My Style posters and other Caspa related goodies! 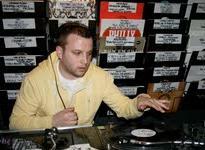 To be in with a chance of winning, visit us on Twitter and tweet: "@DailyMusicGuide I want that Caspa gear!" Competition ends midnight on 21/07/2010.